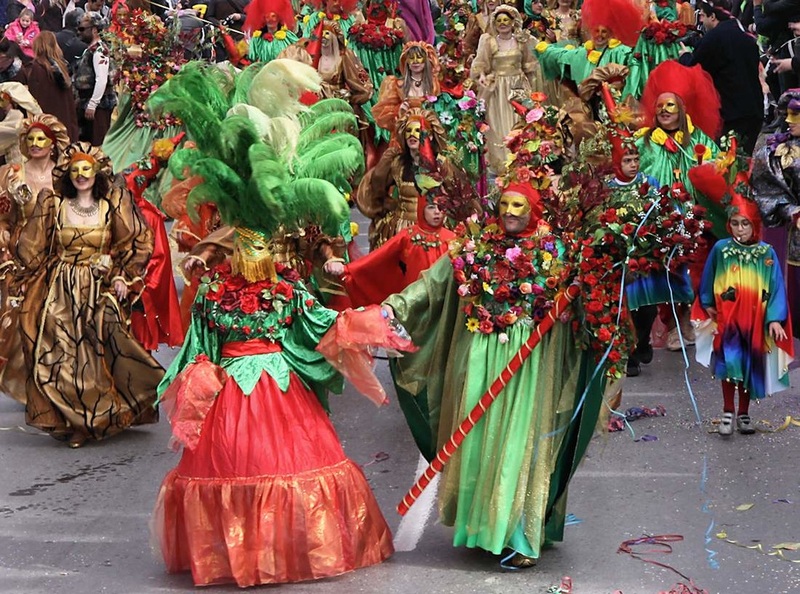 Rethymno Carnival takes place every year between February and March. Thousand of visitors and locals fill the streets of Rethymno wearing colourful suits which are inspired from multiple themes and current events. There is dancing, there is music, there is alcohol and there is a party atmosphere! The carnival is a great and safe event for adults and children alike. The biggest day is the "Sunday Parade" (1 March 2020) on which the carnival teams present their vehicles made out of styrofoam and parade on the main avenue of Rethymno. The party goes on all night until "Clean Monday" (2 March 2020) morning! Other popular days include the "Fat Thursday" (20 February 2020) on which locals party and eat large amounts of grilled meat in the streets of the Old Town. The carnival teams regularly host theme parties in various nightclubs. As soon as the carnival is over the teams are already preparing for next year's carnival. It is never ending fun!